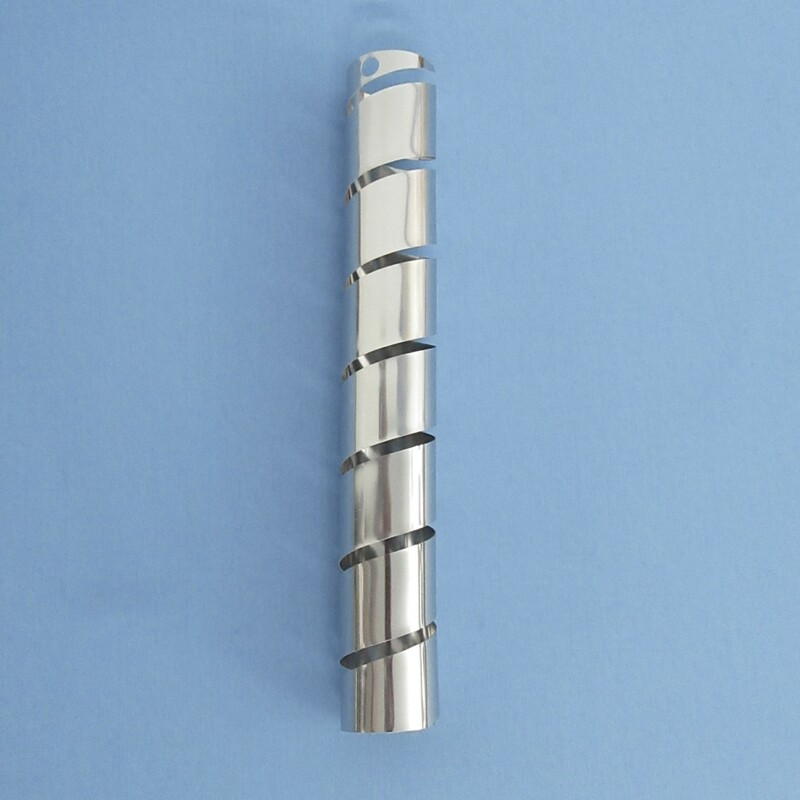 Non-coated Spirals (Helix) are used for the Electro Deposition of Metallic coatings for process control purposes when a critical internal deposit stress value number is not required, since the spiral contractometer design provides shielding of the interior during the plating process. For certification purposes spirals (helixes) with Teflon coated interiors are recommended. These spirals (Helix) are designed to fit into any existing spiral contractometer. *173 cm² allows a deduction of 2 cm² for interior mounting to the spiral contractometer. *Stop off lacquer is recommended for solutions such as chromic acid or solutions that are high in free cyanide concentrations. We do not carry it however, you can purchase MicroShield stop off lacquer at http://www.tolber.com/products/miccroshield.htm Tolber Chemical Division.